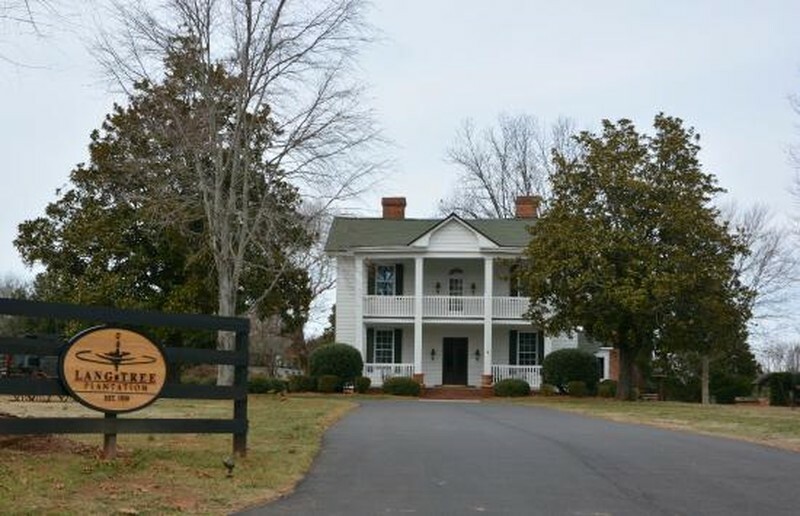 The Historic Langtree Plantation was constructed near the end of the Civil War by Dr. Henry Yeoman Mott. Dr. Mott, as he was so familiarly known, was a true type of the old-time southern gentleman, a manly, erect figure, a man loved and honored by all who knew him. Born June 1, 1841, at Flat Rock, Henry Yeoman Mott was a son of an Episcopal minister and his wife, Rev. and Mrs. T. S. W. Mott. Dr. Mott’s father, who was a member of a prominent Canadian family, who came to the South many years ago, was the founder of the old St. John’s Church-In-The-Wilderness at Flat Rock and of the Episcopal church at Valle Crucis. Henry Yeoman Mott, then a young man of 20 years, entered the Confederate army as a cavalry private at the outbreak of the Civil War. He was known as a gallant and courageous soldier, serving throughout the entire four years of the war, carrying his commission in his pocket and serving in the cavalry ranks as a soldier instead of an officer. For a while he was aide to General D. H. Hill. After the war, Dr. Mott married Miss Roxana Smith, of Lincoln county. His wife was a member of a prominent family of Lincoln county. Her father was the director of the Little Mountain Iron Works of the Confederate government, an important unit during the war. Dr. Mott attended Jefferson Medical College, in Philadelphia, after the war. His two older brothers had been graduated from this institution. After his graduation, Dr. Mott returned to his home to take up the practice of medicine. He became one of the outstanding physicians of this section. His practice extended over Lincoln and Iredell counties and over part of northern Mecklenburg county.